Need to change the password for your Xbox One? Perhaps you’ve just finished gamesharing on your Xbox How to Gameshare on Xbox One How to Gameshare on Xbox One Wondering how to gameshare on Xbox One? Here's everything you need to know, and some recommendations for staying safe. Read More and don’t want the other person to have your password, or you’re setting a stronger password to stay safe. On Xbox One, your Xbox Live login is tied to your Microsoft Account. Microsoft doesn’t provide a way to change your password directly from your Xbox One, but it’s still easy to do. Here’s how. Open a browser and head to the Microsoft Account login page. If you want to do this from your Xbox, open Microsoft Edge and browse to login.live.com. Sign in with your email and password, then click the Change password text under your profile picture. Confirm your password if needed, then enter a new password. Make sure you use a strong password How to Create a Strong Password That You Will Not Forget How to Create a Strong Password That You Will Not Forget Do you know how to create and remember a good password? Here are some tips and tricks to maintain strong, separate passwords for all of your online accounts. Read More to prevent your account from being hacked. Once you confirm, your Microsoft account, and therefore your Xbox Live account, password is changed! Scroll over to the Settings gear and choose Settings. Select Account > Sign-in, security & passkey. Click the Create my passkey box and set a six-digit password using your controller. Then, select Change my sign-in & security preferences. Choose Ask for my passkey and your Xbox will ask for your code whenever you sign in or make a purchase. You can also choose Lock it down, which will ask for your Microsoft password whenever you sign in. We don’t recommend this because typing a strong password will become tedious; a PIN is much more convenient PIN or Password? What to Use in Windows 10 PIN or Password? What to Use in Windows 10 Windows 10 allows you to sign into your PC using several methods. The two most popular are passwords and PINs. Let's examine the differences between them and decide which is best for you. Read More while still offering security. 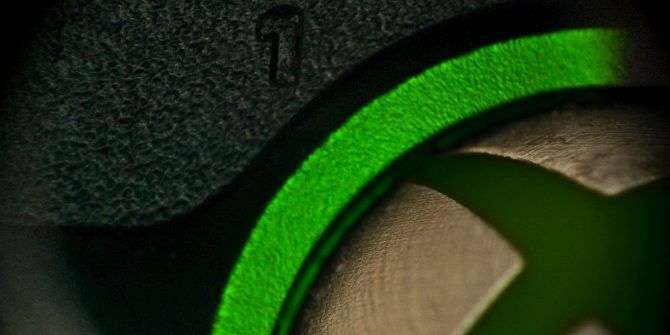 Do you protect your Xbox profile with a passkey? Do you change your account passwords often? Tell us in the comments! Explore more about: Password, Xbox One.